FLASH! And the winner is: Alicia “Slick” Ashley! That’s right! Alicia “Slick” Ashley at the age of 43 became the WBC Super Bantamweight champion of the world routing her much younger opponent, Christian Ruiz 99-91, 98-91 and 100-90 on the judges scorecards! Talk about a knockout night! 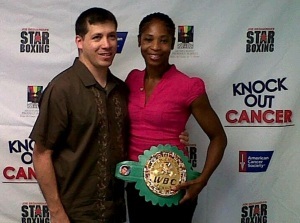 Girlboxing salutes Slick for her fantastic win! She looks great. What a great model of fitness for 40-somethings. Alicia is inspirational, not the least of which because she approaches her boxing with such a relaxed attitude. Her background as a dancer and a kickboxer also gives her a unique style in the ring. She is a treasure — AND a great trainer to boot! 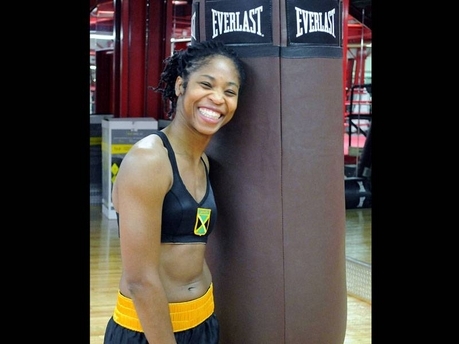 « Women’s Boxing: Two upcoming world bouts to watch for!